The entire Kilburn family of Franklin was among the almost 400 individuals who participated in last year’s Turkey Trot. 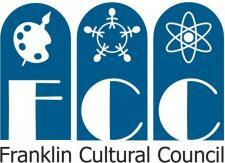 They will be trotting again this year in support of the Franklin Food Pantry. 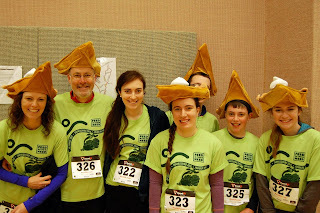 Pictured, left to right, are Molly, Chris, Maddy, Bridget, Tom, Nate, and family friend Niamh O’Sullivan of Cumberland, RI. FRANKLIN, Ma. – It’s a worthwhile price to pay when you register for the annual Turkey Trot Family 5K Fun Run and Walk to be held Thanksgiving morning. The registration fee of $20, or 20 nonperishable food items, will go directly to the Franklin Food Pantry, keeping donations local to help those in need during this holiday season. Sponsored by Feed the Need, the event begins and ends at the Church of Jesus Christ of Latter Day Saints (LDS Church) at 91 Jordan Road in Franklin. The race, open to runners and walkers of all ages, is a great opportunity for the entire family to get out and exercise together before their traditional Thanksgiving feast. And, there’s the added benefit of helping to relieve hunger in the community. The November 26 race will begin at 8 a.m. To participate in the Turkey Trot, you can pre-register online at www.feedtheneed.org; or sign up the day of the race from 7 – 8 a.m., or 7 – 9 p.m. the night before, at the LDS Church. The first 100 race participants to register Wednesday night will receive race t-shirts. For those interested in making food donations instead of the $20 registration fee, the Pantry is in most need of tuna, canned fruit, and health and hygiene products such as deodorant. For more information, call 508-520-9864. Alumni Restaurant is looking for a part-time motivated individual for a dishwasher position, nights and weekends. Must be clean and an organized hard worker. Responsibilities include cleaning dishes, glassware, utensils and other cooking equipment using dishwasher and by hand, maintaining the kitchen in an orderly and sanitary condition and other related cleaning maintenance duties. The right candidate will be a positive team player with a flexible schedule. Opportunity for growth is available. Interested? Contact Andrea Savioli, Restaurant Manager/Function Coordinator, 508-528-8804. 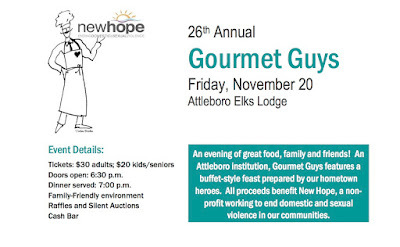 New Hope, Inc. invites you to their Gourmet Guys fundraiser on Friday, November 20! New Hope's website, www.new-hope.org, has ticket information.